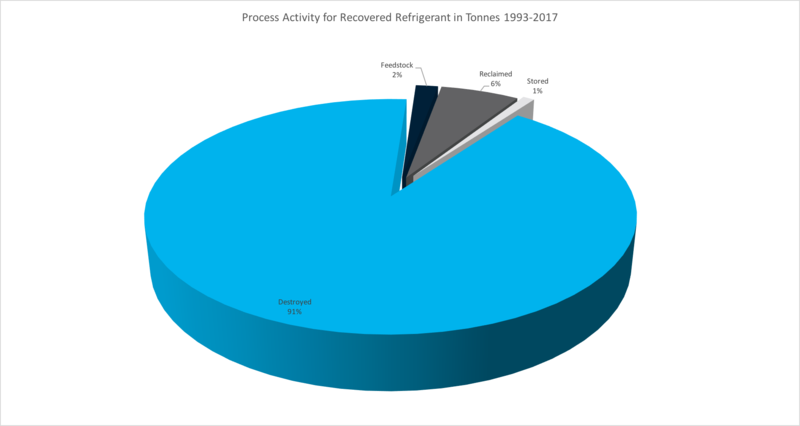 While there are varying impacts from the changing regulatory environment increased quantities of recovered refrigerant have been collected, and annual recovery is in the order of 500 tonnes. The work is far from over as many thousands of tonnes of ODS and high GWP SGG refrigerants contained in systems in Australia. The majority of refrigerant collected by RRA has been destroyed. In the early days of the program some product was returned to then manufacturer for use as feedstock, and some was reclaimed to new specification. 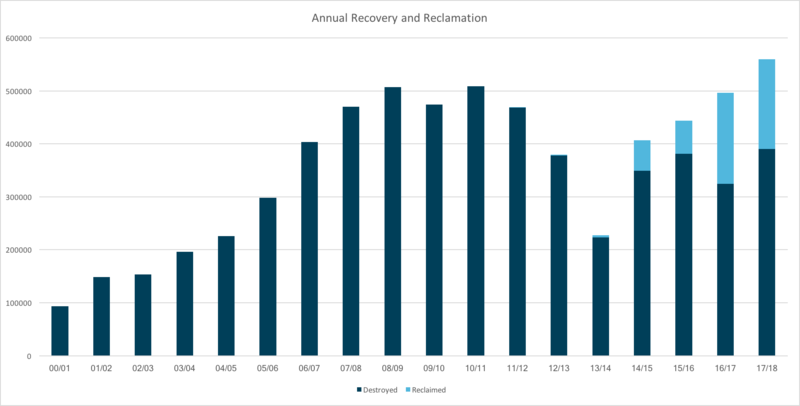 Reclamation has recommenced in recent years as demand for R22 continues due to a large installed base of equipment.